(TibetanReview.net, May20, 2018) – The ballyhoo over the removal of the Representative at the Office of Tibet in Washington, DC, in Nov 2017 whose lingering effect still palpitates has moved to the exile Tibetans’ apex judicial tribunal with Mr Penpa Tsering approaching it for seeking admission of a wrongful dismissal case on May 18. 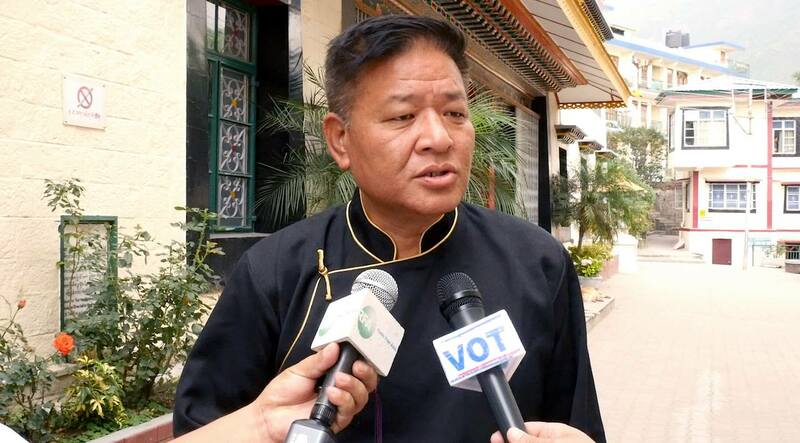 He has accused the Kashag, the cabinet of the Central Tibetan Administration (CTA) headed by President Lobsang Sangay, of carrying out his removal with false accusations which he said tarnished his image. The Kashag had cited “trust deficit” and “dereliction of duty” as grounds for his removing him from office and explicated it in 10 points. The development created a sharp divide in the exile Tibetan community and it was hotly debated almost every day during the last session of the Tibetan parliament in Exile held in March. There was also a protest held throughout the period of the parliament session. While steadfastly resisting demands for the appointment of a committee to examine the propriety of the removal and the veracity of the Kashag’s allegations as demanded by many exile Tibetan MPs and others, President Lobsang Sangay made it clear that the only option was for the matter to be resolved by judicial pronouncement. Penpa Tsering, a former Speaker of the Tibetan Parliament in Exile and the rival candidate in the bitterly fought 2016 CTA presidential election, has cited this as one of the reasons why he was approaching the Supreme Justice Commission of the CTA. He is being represented by Ms Namgyal Tsekyi, a former Justice commission officer, who filed the case. During a press conference after his removal, Penpa Tsering had said that while he promptly resigned after being ordered to do so, the Kashag later came out with a 10-point justification for its decision which he said was totally false and sought to tarnish his image. It was not clear from available reports when the Supreme Justice Commission will hold its hearing on the maintainability of the case.